LEGO Minifigures Display showcases 16 minifigures that is easy to open to fill with new or reorganize the minifigures you have. Allows you to add more displays to expand as your collection grows. Comes in Bright Red or Black. 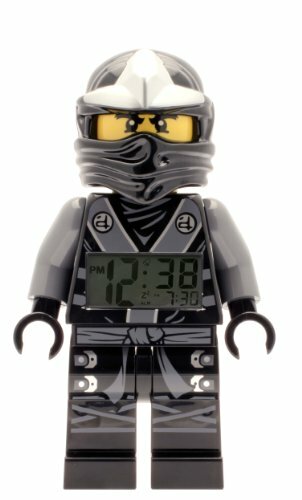 A great addition to any Ninja collection, this giant mini-figure clock will protect and watch over you from the comfort of your own home. 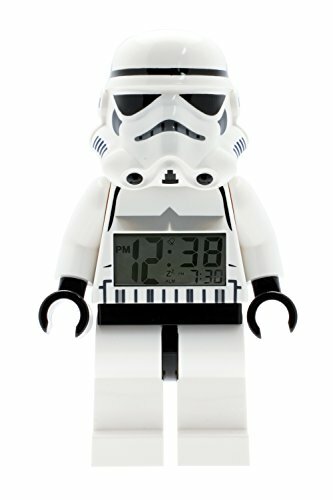 The time is displayed on a digital LCD screen, and the snooze and backlight functions are activated by pushing down on the mini figure’s head. 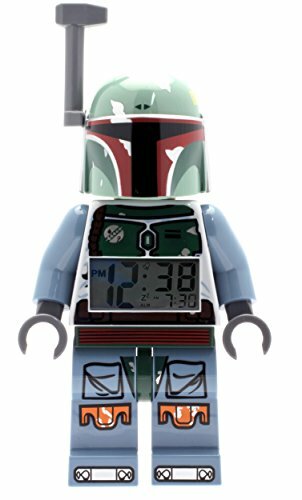 Feel the power of the dark side at home with the LEGO Star Wars Boba Fett Mini-Figure Clock. The perfect addition to every LEGO Star Wars collection, this bounty hunter decor features a digital, lighted display and alarm clock. The snooze and backlight functions are activated by pushing down on the mini figures head. A great gift for any LEGO Star Wars fan. 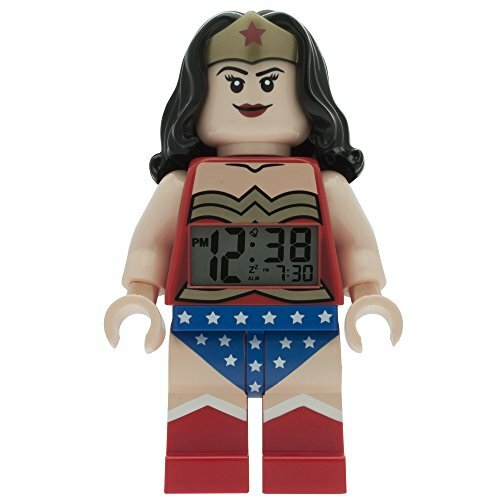 Help protect the skies with the LEGO DC Universe Superheroes Wonder Woman clock! A great addition to any Super hero collection, the time is displayed on a digital LCD screen. The snooze and backlight functions are activated by pushing down on the mini-figures head. 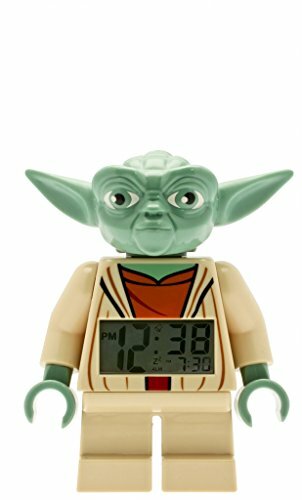 Feel The Force watching over you at home with the LEGO Star Wars Yoda Mini-Figure Clock. The perfect addition to every LEGO Star Wars collection, this Jedi decor features a digital, lighted display and alarm clock. The snooze and backlight functions are activated by pushing down on the mini figures head. A great gift for any LEGO Star Wars fan. These brave fire fighters are ready to handle any emergency in the LEGO City! Featuring an alarm and snooze button, this clock is not only pretty but functional as well. This clock is a must have! The clock is fully adjustable and the time is displayed on a digital LCD screen with a backlight so you can easily see it at night. The snooze and backlight functions are activated by pushing down on the minifigures head. 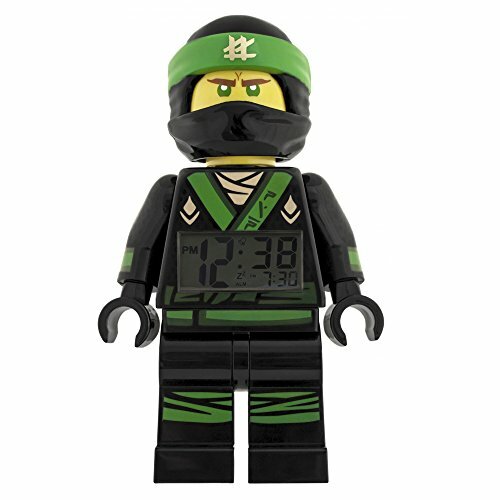 Become an ultimate master of the Spinjitzu, alongside the leader of the Elemental Masters, with THE LEGO NINJAGO MOVIE Lloyd Mini figure Alarm Clock. 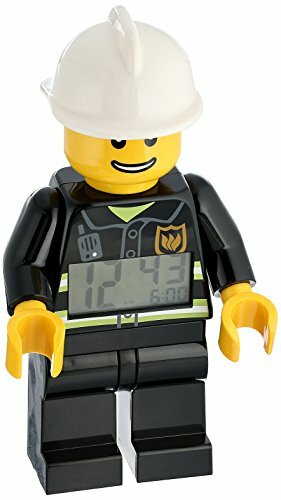 Standing just under 9.5", the jumbo-sized Lloyd light up alarm clock will watch over you and protect the far-away land of Ninjago from evil warlord Garmadon's takeover. 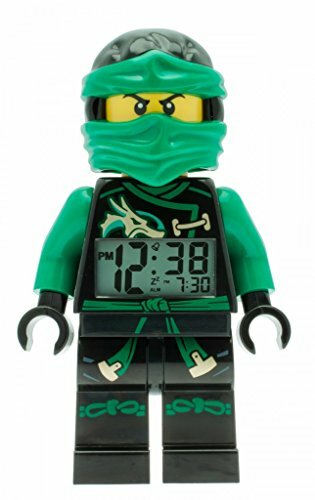 Featuring an easy-to-read digital LCD display, poseable arms, wrists and legs, plus snooze and back light functions, activated simply by pressing down on Lloyd's head, you will never be late to unleash the inner power of Spinjitzu. Meet Bad Cop, the latest villain of the LEGO Universe. Bad cop is under the influence of Lord Business and will do anything to stop Emmet, dirty tricks and all. The LEGO Universe is under attack, will it fall into the hands of Bad Cop and the rest of Lord Business’s henchmen? You decide. 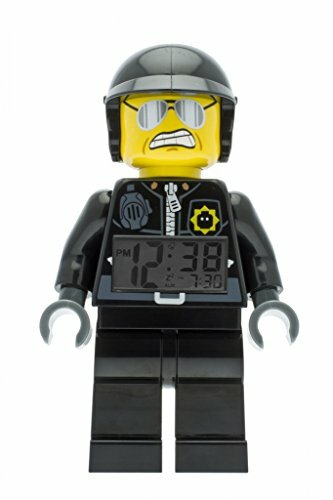 Celebrate this amazing adventure with this official LEGO Movie Bad Cop clock. LEGO Collectible Minifigure Series display! 340+ minifigs! 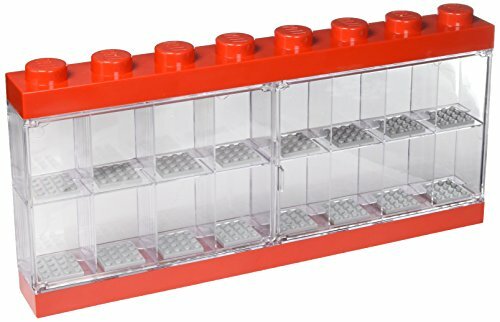 Compare prices on Lego Minifigure Wall Display at ShoppinGent.com – use promo codes and coupons for best offers and deals. Start smart buying with ShoppinGent.com right now and choose your golden price on every purchase.